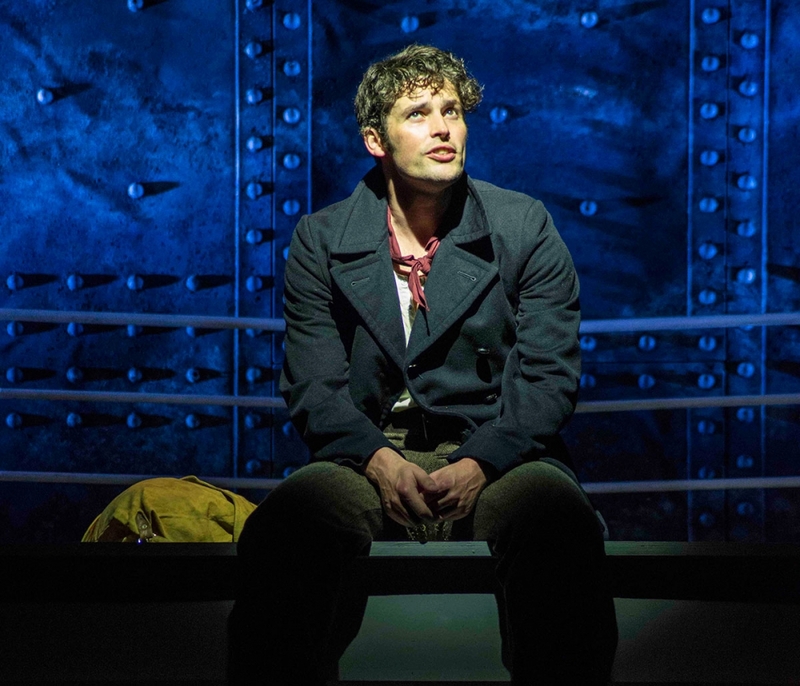 Titanic the Musical is nearing the end of it’s voyage having started it’s life in the UK at Southwark Playhouse in 2013, continued its journey at Charing Cross Theatre in 2016 then going on tour. It was therefore about time for me to see it! 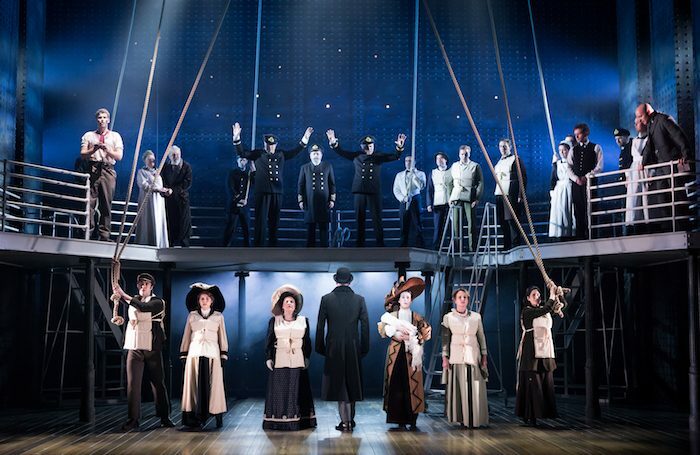 Titanic the Musical is based on real people who were aboard the Titanic. These range from the third class passengers, desperate to start a new life in America, to the first class passengers hoping to leave a legacy. We meet the staff including the captain, the ship’s designer, the stoker and the radio boy and we meet the second class passengers hoping to social climb or to simply start a new life away fro the shadow of their family. The music in this show is big and as epic as the ship itself. In particular ‘Godspeed Titanic’ and its reprise at the end are vocally huge. With the full company singing this, rich harmonies and supported by a fantastic band it was this number that went straight onto my Spotify playlist. Some of the other numbers were more forgettable however all of them fitted in well with the show and had a purpose in the overall story arc. The show requires a wide breath of characters and this talented cast were able to portray them all with heart. Niall Sheehy as Barrett portrayed the likeable stoker aboard the ship. His number with Oliver Marshall as Bride was nicely done as these two contrasting members of staff bonded over Barrett’s proposal. I also fell for Isidor and Ida Straus, played by Dudley Rogers and Judith Street, who were elderly first class passengers who refused to leave each others side. The portrayal could have been twee but instead it was simple, touching and moving and their final scene together was one of the most touching moments of the show. I had wondered how the set would manage to portray the reported splendour and huge size of the Titanic however cleverly it didn’t attempt to try. The set was well designed with 2 simple levels. The bottom level turned easily from the first class dining room to the deck of the ship without the need for large scene changes meaning that the momentum didn’t need to slow and the upper level worked well as look out posts. The rest the cast captured easily with our imagination, clever lighting and huge juddering sound effects to demonstrate things such as the moment of impact. The sinking of the Titanic was undoubtedly an epic tragedy the success of this show is making the musicals focus, the personal story. The success in bringing these characters to life in front of the audience helps take the show from a story we all know to a human, moving musical. Titanic is on at the Churchill Theatre until Saturday 21st July. To find out more about the show visit their website. If you like my review of Titanic The Musical you might also like my review of Flashdance, Knights of the Rose and Cilla.